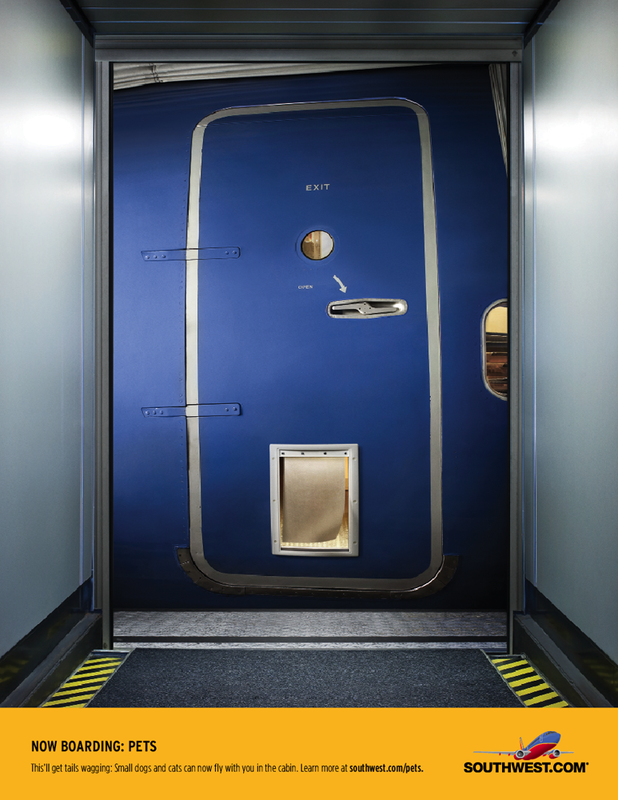 I’ve been a Creative Director on Southwest Airlines three times in my career. So you could say I’m well versed (and immersed) in the unique Southwest brand culture. I’ve been responsible, soup-to-nuts, for communications both external and internal: Everything from launching their international service to writing copy for the napkins on their planes; from presenting campaigns to CEO Gary Kelly to recording Flight Attendants for Southwest’s on-hold voice messages; and from creating campaign consistency in all media (Twitter, Facebook, YouTube, and Southwest’s website) to writing, producing, and directing videos for CMO Kevin Krone at Annual Marketing Meetings. I’ve done it all. 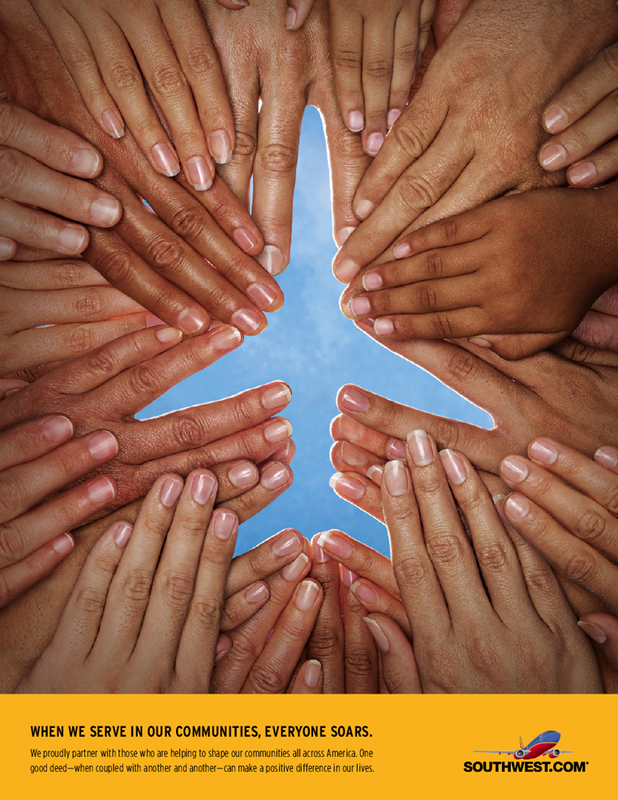 I’ve been an essential partner in helping Southwest evolve from a regional carrier to America’s #1 Domestic Airline. 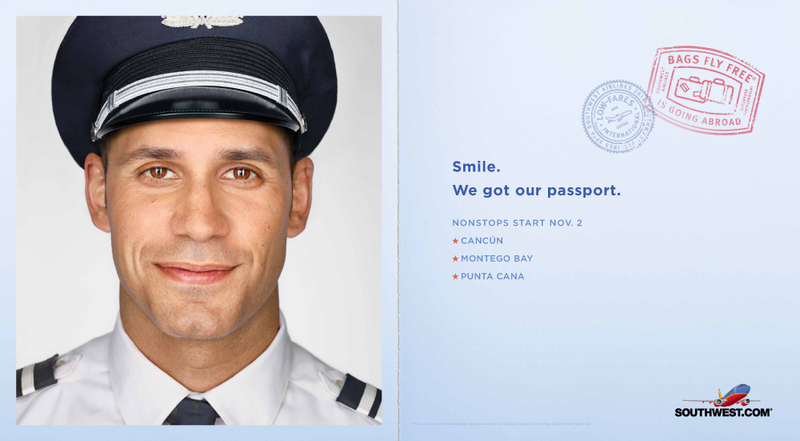 As a lead Creative Director on the account, I partnered with Southwest’s various departments and agencies. I worked intimately with their Marketing Team, including the developers at southwest.com, as well as with their agency partners, such as GSD&M, Razorfish, and Chiat/Day. 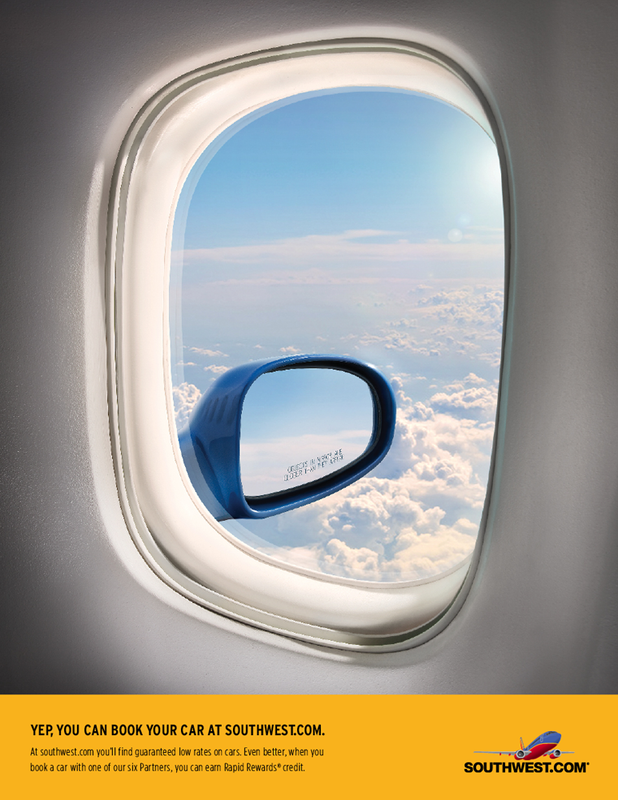 At its core Southwest is a retail account. The goal is to put butts in seats. Every day. No other airline is as aggressive as Southwest, and nowhere is that more apparent than on southwest.com. In fact, more than 80% of their business is derived from their website. They aren’t just an airline. They are a full-scale travel website offering flights, hotels, cars, vacations, and more. They don’t just compete with American and United and Delta, they compete against Travelocity, Orbitz, and Hotels.com. 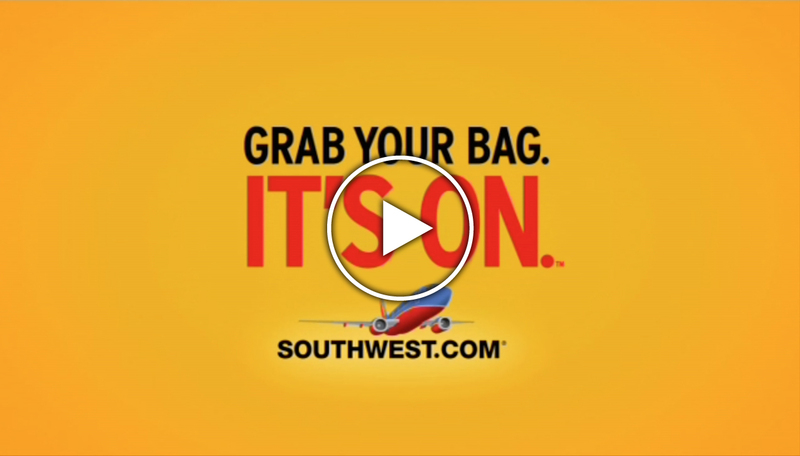 So every piece of communication I created directed the consumer to southwest.com. Launched international service for Southwest Airlines. After 43 years of becoming America’s #1 Domestic Carrier, Southwest was ready to take their unique brand of travel abroad. They needed to announce it in a big way—with their one-of-a-kind sense of charm and wit. 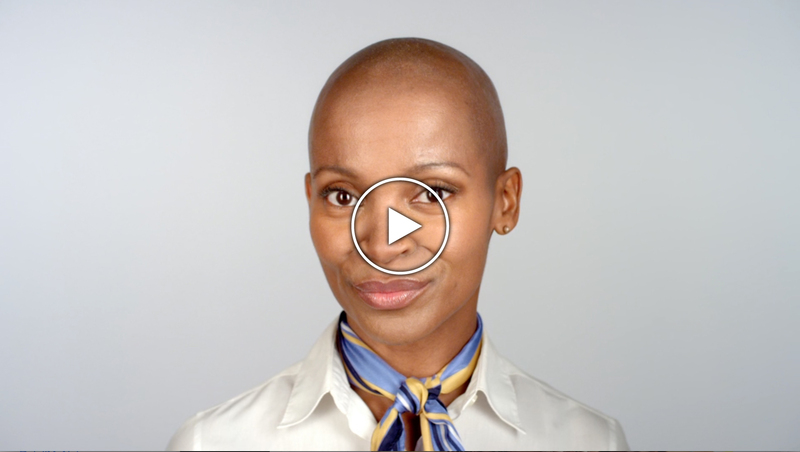 I co-created the multi-media campaign with the theme “Smile. We got our passport.” World-renowned photographer Martin Schoeller photographed Southwest employees getting their passport photos taken. Media included TV, Out of Home, digital, social, PR Events, website communications, and radio. Created individual in-market campaigns for Atlanta, Milwaukee, and Denver. Media included: TV, Out of Home, digital, social, and radio. Launched a National Sales Campaign with the theme “Carpe Vacay.” Media included TV, Out of Home, and Social. Launched the inflight product Live TV. Media included TV, Out of Home, and Social. 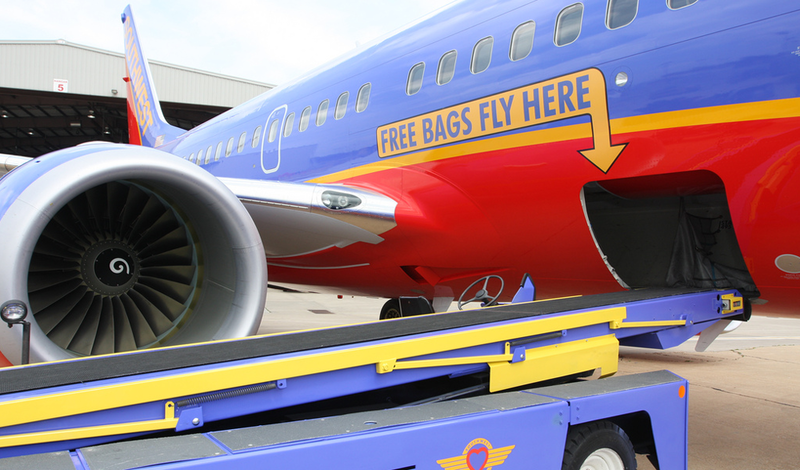 Launched Southwest’s Bags Fly Free campaign. In 2009 airlines began charging additional fees, most noticeably, for bags. Southwest Airlines had a difficult decision to make – to charge or not to charge. Walking away from an estimated $500M in annual revenue, SWA stayed true to its core purpose of giving people the freedom to fly, defied the industry and decided against bag fees. The campaign that followed not only announced this decision, but put competitors on notice for mistreating passengers and in the process galvanized SWA employees. The effort resulted in a market share increase, equaling $800M of incremental revenue. Media: TV, Out of Home, social, digital, PR Events, radio, on-plane and luggage cart messaging. Awards: Gold Effie for overall campaign effectiveness. 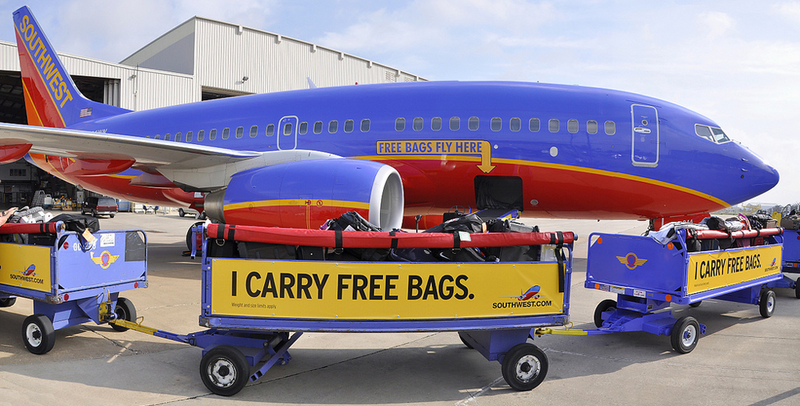 Launched Southwest’s No Change Fees policy with a FEE COURT campaign. In this multi-media campaign Southwest Employees, acting as jurors, render guilty verdicts in mock trials against competitive airlines for bilking millions of dollars from unsuspecting customers. Media: TV, Out of Home, social, digital, and radio. Co-authored the award-winning “Wanna Get Away” National Sale Campaign. 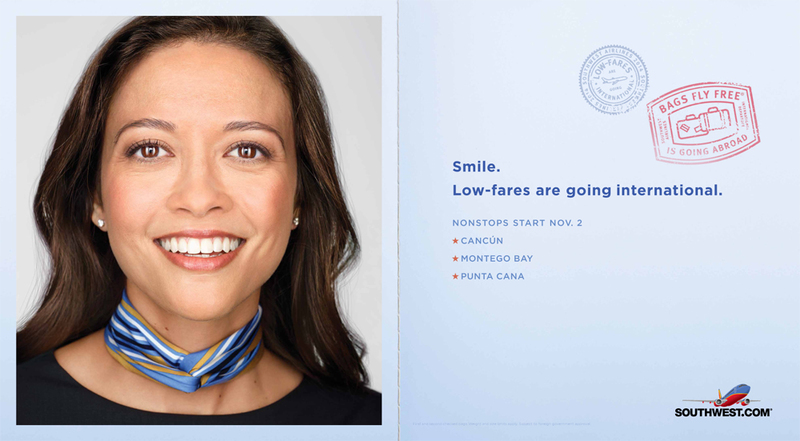 This popular campaign ran for several years and put Southwest on the map as the go-to airline for low-fare vacations. Awards: multiple gold statues (including National Addys and Clios) for Southwest print.